Shooting just began in Montreal for I’m Not There, the new biopic of Bob Dylan. In the wake of successful films about musicians, this one promises to definitely be different than Ray or Walk the Line. Six different actors will play various incarnations of Dylan’s personality: Heath Ledger, Christian Bale, Cate Blanchett, Richard Gere, Ben Whishaw, and Marcus Carl Franklin. As you may know, Blanchett is female and Franklin is black. That kind of Dylanesque maneuver has got to have the nasally folk icon smirking. For more than forty years, Dylan has energized the anti-war and civil rights movements, excited poets and songwriters, and exasperated those who have attempted to neatly pinpoint his philosophy on love, life, death, and the Almighty. 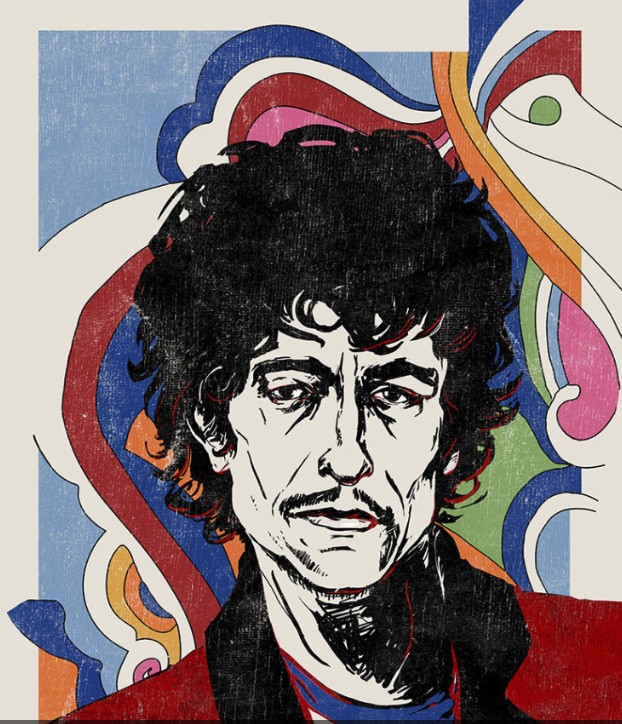 With I’m Not There, director Todd Haynes will get his shot at defining Dylan. There seems to be no end to the fascination with the man who is arguably America’s most significant and mysterious troubadour. Fans snatched up his autobiographical Chronicles, Vol. 1. PBS recently aired No Direction Home, Martin Scorsese’s four-hour documentary on Dylan’s life from 1961 to 1966. The Dylan musical, “The Times They Are A-Changin’,” will open on Broadway in October. All the while, he keeps doing his thing. The recently released Modern Times is Dylan’s 44th album. Dylan was not being flippant, he was just being honest. His public proclamations about Jesus brought far more controversy to his career than when he was booed for playing an electric guitar instead of an acoustic at the Newport Folk Festival in 1965. His spiritual quest was exceedingly more countercultural than a mere shift of musical instruments. Dylan’s gospel albums dumbfounded critics and aggravated a segment of his fan base when the “spokesman for a generation” had become a preacher. A few years ago, Dylan was making a habit of opening his concerts with the song “I Am the Man, Thomas.” Out of the more than 500 songs he wrote, it would not have been unreasonable to ask why he was opening with a cover tune from the old Stanley Brothers. It would only be offering mere speculation as to why Dylan includes his gospel-centric songs such as “Man of Peace,” “In the Garden,” or “I Believe in You” on his playlist. Perhaps we should be content to conclude that he has always been an intriguing wordsmith on a quest to find God and is merely continuing that journey. If anyone would know something like that about art, it would definitely be Bob Dylan.